The Inspiring Conference emerged from the Inspiring Flow Conference (2013) and FLOW3 Experience (2012) and is currently the only international event covering only TYPO3 Flow and TYPO3 Neos topics. This years event will take place on March 28th and 29th at the fantastic location „Kesselhaus“ in Kolbermoor near Munich, Germany. Prior to the conference is a day full of workshops. 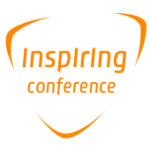 The speaker lineup for the conference consists of well known experts from the TYPO3 and PHP community like Robert Lemke, Karsten Dambekalns or Sebstian Bergmann who guarantee an exciting program. Inspiring Flow Conference and FLOW3 Experience have already been awesome events which brought the experts and the community together. Since TYPO3 Neos has been released to the public last December it has gained a lot of attention. This conference will show how TYPO3 Neos is adapted in real world projects. It is a unique opportunity to get in touch with the Flow and Neos core team and discuss your experiences. Tickets are available on the conference website. Furthermore typo3blogger.de is giving away two tickets in a sweep stake. Stay tuned! This session elucidates what Acceptance Test-Driven Development (ATDD), Behavior-Driven Development (BDD), and Test-Driven Development (TDD) are about, what their strengths and weaknesses are, and how you can find the right test mix for your project. TypoScript 2.0 is a completely re-thought language focussing on extensibility and consistency. This talk will highlight the different parts of TypoScript, such as Eel and FlowQuery and we’ll especially focus on patterns which make your TypoScript more extensible and easy to maintain. This talk aims at exploring if and how the current state of HHVM can be used to run TYPO3 Flow applications like TYPO3 Neos. In this talk, a fully working and operational real world TYPO3 Flow application will be demonstrated including all the technical challenges that were faced during development. In this talk Henrik will show how you can use transactional consistent domain events to help split up your application into loosely coupled modules. After the session you should be able to confidently judge if a migration is worth the effort. The content repository combined with TypoScript, Eel and FlowQuery forms a powerful approach to realizing content flows and all kinds of custom content types. This talk gives a short introduction to BDD and Behat while focussing on the practical approach of integrating Behat in the Flow application development process and how to benefit from a BDD workflow. Dominique will show in this talk, why dealing with node is so much different then dealing with plugin or custom entity and how structured content can facilitate our daily job. In this talk Henrik will give examples on how he has used the CQRS pattern for read and write models. This talk gives ideas how to deal with the problem of connected interface performance issues in a unconventional way. In this talk we’ll go through the experience of building a complex system on Flow and discuss both the benefits and challenges. This talk will give a glimpse on the current status of localization in TYPO3 Neos. More information about the talks and the speakers can be found on the conference website. This workshop is targeted at developers that are familiar with Flow’s foundation and have already collected some experience with the framework. In our Neos fast track workshop we will go over all important aspects of Neos and together integrate a small website from ground up. This workshop is all about identifying performance bottlenecks and how to address them. Fixed. Thx for the hint!